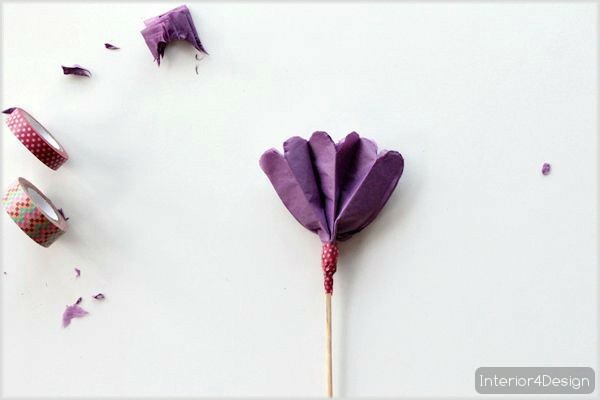 In an earlier topic, we talked about how to make roses from relatively thick sheets by clarifying all the requirements and the method of manufacturing from start to finish with pictures and steps. 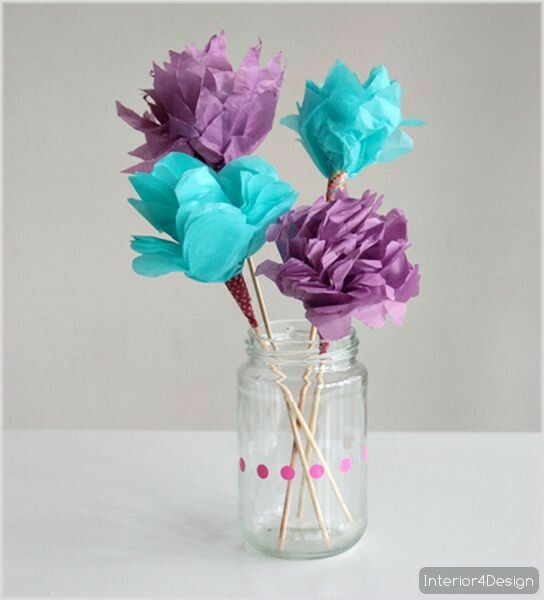 In order to complete the above, we will work today on making roses but in another way we will depend on Paper "transparent" to produce different forms from the previous topic so you can decorate your home with different types of paper flowers or when you want to trade you can offer different products to customers. 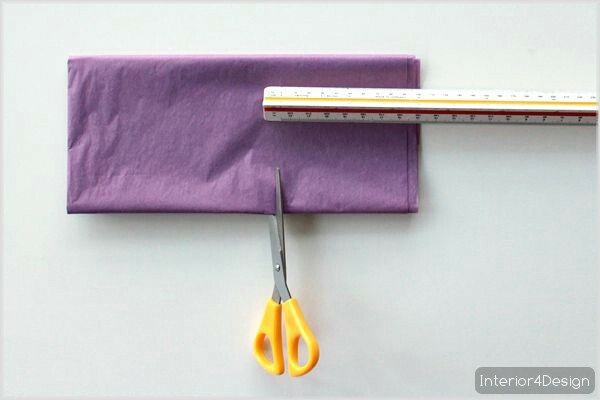 1 - thin sheets "transparent" of different colors to be Violet one of these colors because of the importance. 2 - adhesive tape "Shokrton" and must be colorful and consistent with other colors. 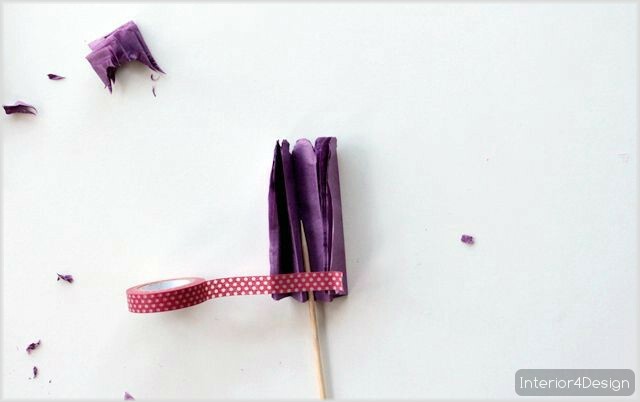 3 - small wooden skewers "used in Shish Tawouk". 4 - scissors small paper cutter and can be bought from a library near the house. 5- Ruler and preferably not transparent for easy visibility. 6 - empty glass jars, preferably decorated with simple stickers or tape adhesive. 1. 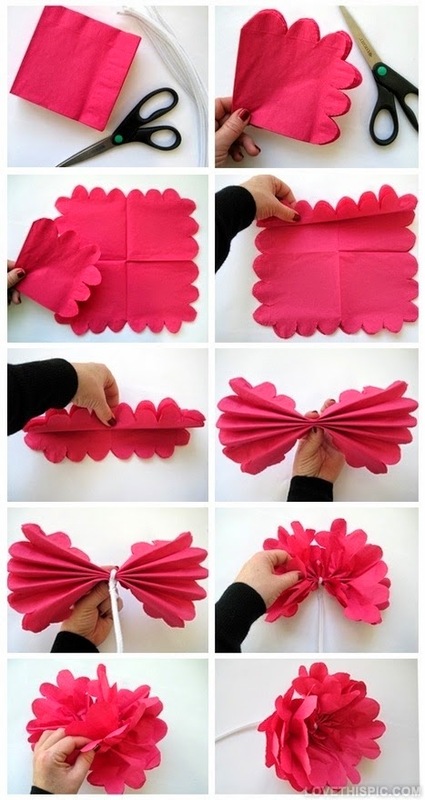 Bring the thin paper and hold a bow or fold for more than one layer and plaster a piece of about 10 centimeters, as follows. 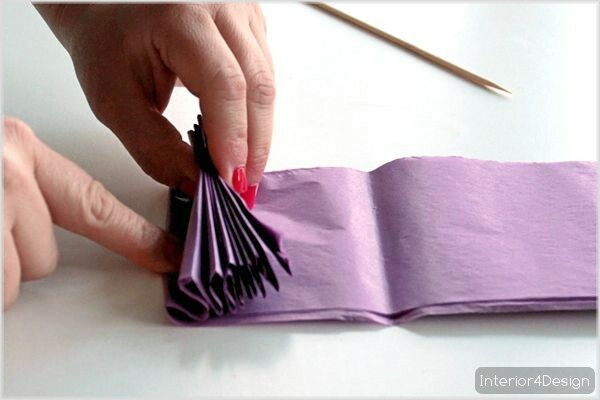 2 - the individual layers cut to become the size of paper larger and initial in the work folds at lower distances so that the width of each layer only 1 cm, taking into account that the single flower need to fold 6 folds and the more paper and the number of folds more whenever there is a possibility to produce more From the flowers, see the following picture for more illustration. 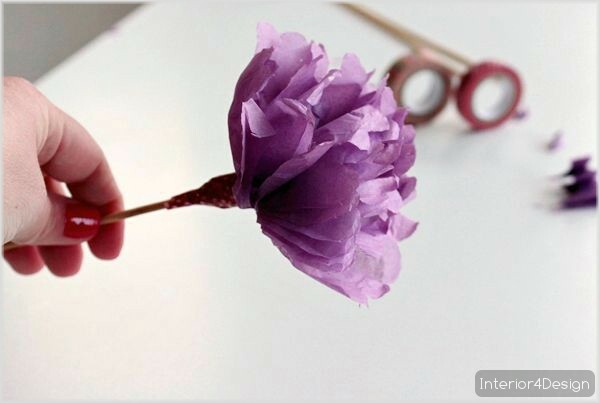 3 - The third step in the manufacture of paper roses based on the collection of folds with each other and cut the upper part in a circular manner depending on the scissors. 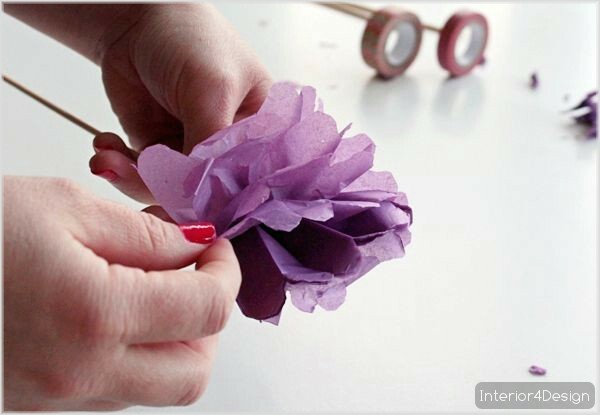 4 - After finishing the previous step, you are supposed to bring one of the wooden lumber and put it in the middle and start tightly closed using adhesive tape, and so we are close to completion of the manufacture of roses. 5 - the last step is to separate the papers from each other manually and must be this step in a thin way so as not to break the papers and shatter work. After completing all the previous steps, we have finished the work and become ready to use, and of course can produce more forms of more colors to make the final form more beautiful and acceptable, and the following pictures of work after completion. After producing a collection of flowers of different colors and shapes you can rely on decorating children's rooms or travel, put it on the camodo or use it anywhere else in the house, in addition to be reliable in decorating the classrooms of the nursery and others.